In December 1974, the Belgian stern trawler Lans ran aground under the 600-foot cliffs of The Berry in Hoy, and an RAF helicopter from Lossiemouth went right to the side of the cliff to lift off the crew, three at a time, take them to the top, and then land them in the Longhope lifeboat. The helicopter, piloted by David Cosby, had the storm raging around it, the surging sea below, and the cliff face just a few metres from the rotor blades. 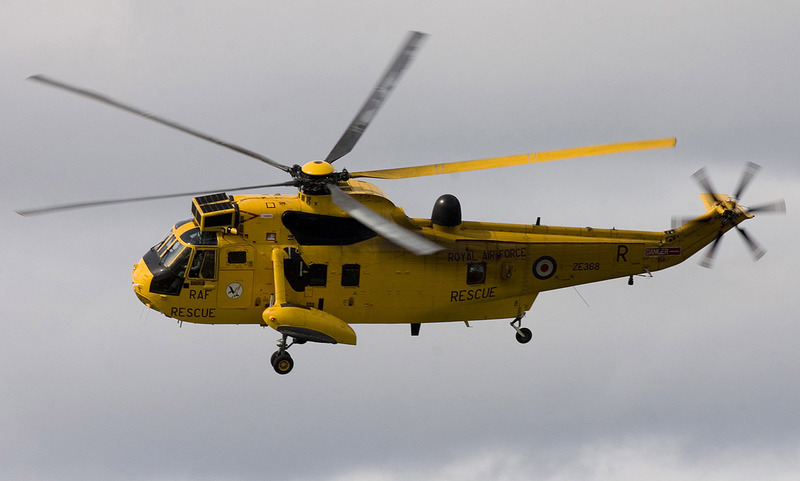 David married an Orkney girl and lived in Stromness in his retirement, and at his funeral at the churchyard by the sea, with the waves washing in to the shore, there came a distant sound of engines, and a helicopter from his old squadron at Lossiemouth passed slowly overhead in salute. October 1980 saw the rescue of the crew of the Swedish freighter Finneagle, ablaze in heavy seas off Orkney’s west coast. The weather had shifted her cargo of chemicals, and a leak led to an explosion and a raging fire pouring out poisonous fumes. There were twenty-two people on board, women and children as well as the crew, and they had retreated to the bridge for safety. 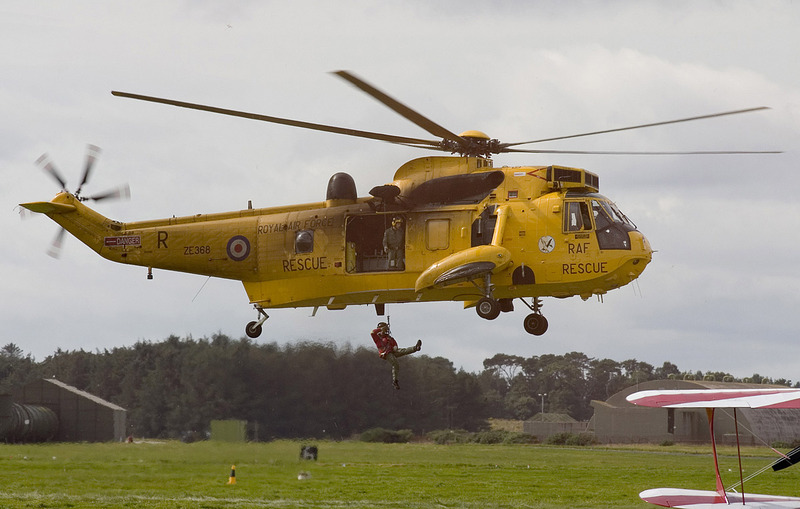 It was from there that they were lifted off by an RAF Sea King helicopter from Lossiemouth, piloted by Flight Lieutenant Mike Lakey. Perched in the air above the stricken ship, with plumes of flame and smoke billowing out in the darkness, the helicopter looked down on the deck which rolled and pitched in the heavy seas. The waves were over forty feet high, and the bow was crashing into each one and rising up in the air, then sinking down into the following trough. As the ship rose on the wave, water was hurled against the bridge in a cloud of spray. The helicopter tried to lower the winchman, and the force of the wind around the ship’s superstructure sent him into a huge spin on the end of the line, so they hauled him back on board and lowered two rescue strops for the crew to be brought up, two at a time. Down below in the darkness they could see a torch give the sign for the first lift; and then came a terrible moment. A huge wave hit the ship and the mast swung up towards them out of the fire and the night. Up, up was the call and Mike Lakey applied emergency power to pull them clear. The two in the strops were wrenched off the deck and jerked into the air, swinging wildly on the end of the long cable. The helicopter crew winched them in – and saw that they were women, each holding on tightly to a young child. “Each child, due to the sudden pull, had slipped down in the rescue harness, and thank God, the women were able to hang on to the children until they were brought up to the aircraft,” said Mike Lakey the following morning. The last to be taken off was the Finneagle’s captain, who had kept the ship into the wind throughout the rescue operation. And the old hymns about the sea are sung by the Orkney church choirs and by the Men of Orkney, the gospel singers from Westray and the Mainland, and so many of those who sing have seen the power of the sea and learned to respect it, and the strength of their voices can sound at times like a Welsh choir, with the wind and the waves in the music; and on the shores the breakers tumble into foam. 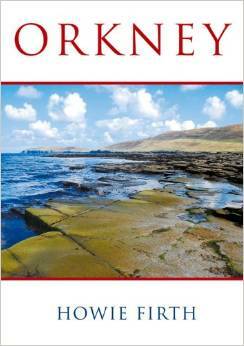 From the book Orkney by Howie Firth, published by Robert Hale. 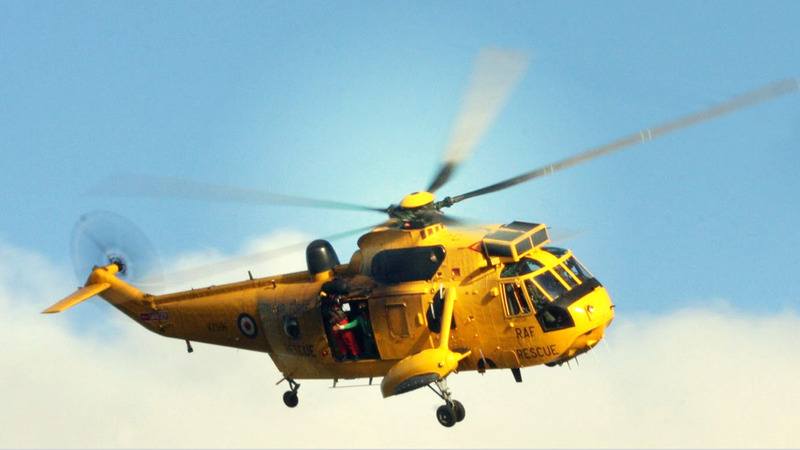 The Sea King images here are by Stan Barber and Jim Simpson.